Students who wish to do School of Continuing Studies programs and courses need to have a high level of proficiency in English. When you apply or register, you need to have proof of English proficiency. 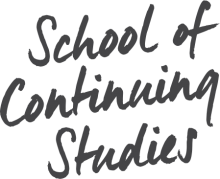 As a low-cost alternative to international standardized tests such as the TOEFL or IELTS, the School of Continuing Studies offers the McGill SCS TELP (Test of English Language Proficiency). The purpose of the TELP is to determine if a student’s level of proficiency in English is high enough to start a professional program in the School of Continuing Studies programs. It is not recognized for programs in other faculties at McGill University. If you would like to take English courses, please go to the English programs page. You will have to complete most of the test using a computer in a computer lab on the 12th floor of the 688 Sherbrooke West building. You may not use a dictionary or mobile device during the test. Your results will be ready four business days after the test, and can be picked up or mailed to you. Your test results will be sent to you by email four business days after the test takes place. Category A - You obtained a result of 80% or higher – you don’t need to take any further English courses before starting your professional program. Category B - You obtained a result of 70 – 79 % - you may start your professional program as an independent (special ) student, on the condition that you take CEEN 421 and CEEN 422 in our part-time English program. Category C - You obtained a result from 0 to 69% - You must take some courses in order to increase your proficiency level before starting your professional program. We will recommend a number of courses depending on your score. Candidates may re-take the TELP test after three months. The fee for the test is $115.69 (non-refundable). Payment is required prior to writing the test. Students must sign up for the test at least 24 hours in advance. Space is limited and registration works on a first-come, first-serve basis. Students who do not receive an email confirmation 12 hours after registering for the test should call 514-398-1212. Please note that the chosen date is fixed and final. If you cannot attend the date you registered for, you must register again for a new test date.